Below is a list of our most common rubber styles. many other forlumas are available including special compounds to meet most specifications including military, aerospace and commercial. Any of our sheet rubbers can be processed into die cut parts, strips, sheets or pads. 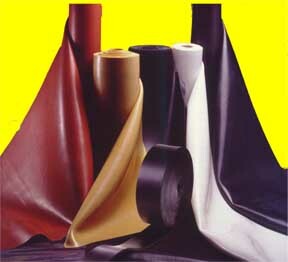 Since each application is unique, when trying to match a sheet rubber to a specific application various criteria should be considered including the list "Information Necessary for Custom Manufacturing." Exposure to chemicals, fuels, oils or heat can affect the performance of sheet rubber and cause the product to lose its ability to maintain a seal, causing leakage or other failure which could result in property damage, serious injury or death. Since each application is unique, consult Customer Service at (212) 406-0200 for further information.